In the business world it’s vital to stay current and up-to-date in all facets of the organization. That is most important when it comes to IT equipment. In the IT realm, hardware, software and services needed are constantly being upgraded, changed or moved. To limit delays in day-to-day operations a reliable process needs to be implemented to handle these situations in a timely and cost-effective way. In the world of IT this is referred to as IMAC services. IMAC stands for Install, Move, Add and Changes as it relates to the IT sector. Let’s look at each of the components of IMAC to better understand how this project management service can benefit your company. New companies or businesses looking to identify ways to improve their IT capabilities start with the install process. Specialists work with your team to determine all the hardware, software and other devices that would be needed to make your business as efficient and effective as possible.This includes items like:desktops, printers, servers, laptops, modems, monitors, scanners and others. Once needs are identified then equipment is procured, configured and installed on your network and tested for functionality. The final step is training to employees on proper use of the equipment for optimal results. There are many instances where IT equipment may need to be moved.Whether the movement is just from one area of the office to another or if it’s to an entire new facility proper relocation is necessary to ensure minimum down time and accurate installations. Before being moved, all equipment is appropriately de-installed, safely packaged and transported to the new location. Once at its final location, equipment and systems are then re-installed and checked for functionality. The world ofIT is constantly evolving and systems, software and hardware can quickly become obsolete.To keep your IT infrastructure up-to-date enhancements and updates are often required. These additions can range from accessories to software to printers, wherever it is needed. IT equipment doesn’t last forever and it oftentimes the hardware or software may be experiencing outages or problems with performance. This is where the change of IMAC comes in to play. Problems are quickly identified and the system can be replaced, recovered or upgraded. This service also includes the proper environment-friendly disposal of any equipment that is no longer functional. The intention is to minimize the effect the problem has on business and as quickly as possible get back to work. 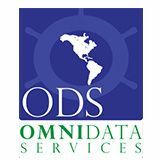 OmniData Services (ODS) knows that IMAC’s are among the top needs of companies today. With years of experience in IT Project Management, ODS has the right staff to help manage IMAC’s successfully with our clients throughout North America, South America and the Caribbean. ODS understands the importance of maximizing your IT investment by providing great service and knowledgeable professionals who have been trained by the manufacturer. ODS will offer a single point of support for rapid resolution and superior service. Contact us for more information on our IT project management services and printer solutions for your company.